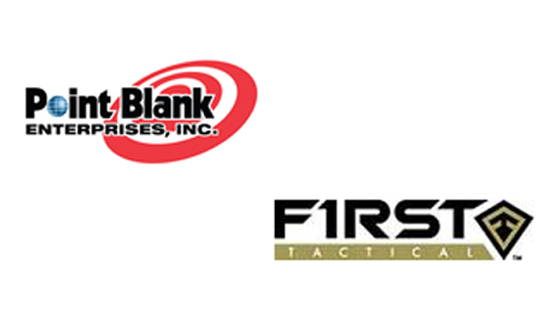 Representatives from Point Blank Enterprises and First Tactical announced this week that the two companies have merged and will build an integrated clothing and body armor system. Point Blank Enterprises is currently the premier source of body armor systems in the world, with 44 years of experience providing innovative personal protection products to the public safety community and military. The merger is a result of Point Blank’s desire to work with a cutting-edge apparel brand designed for the demand of the public safety personnel with a contemporary perspective and a track record for elevating industry standards. Together, Point Blank and First Tactical will introduce a line of holistically integrated products desperately needed by public safety professionals. These products shall be designed with Officer Safety as the priority along with the quality and image of the personnel being in the forefront in today’s demanding environment. Commenting on the game changing merger, Daniel Gaston, Chief Executive Officer of Point Blank Enterprises said, “As the leader in personal protection equipment we continue to lead the way in providing public safety personnel the latest design and highest level of protection at the lowest possible weight. This merger will provide for the next generation integrated system that will maximize protection, optimize wearing comfort, and promote the image of public safety personnel today and into the future. First Tactical opened in late 2015 and has been steadily growing in the industry since. Founded by Dan Costa, a proven industry leader, First Tactical strives to meet the needs of public safety professionals with new, innovative ideas in apparel, footwear and accessories. The companies will maintain their names and will begin collaborating to develop an integrated apparel and body armor line immediately.